Anthony Harding is a specialist in the later prehistory of Europe, particularly the Bronze Age. 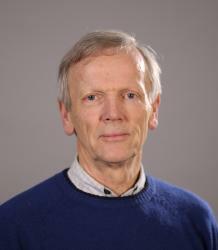 He has led excavations in the UK and several European countries, notably Poland (Sobiejuchy), Romania (Baile Figa) and the Czech Republic (Velim). He has written extensively on Bronze Age archaeology, on prehistoric warfare, and the archaeology of salt. After retiring in 2015, he was Guest Professor in the Munich Centre for Ancient Worlds (MZAW) for the academic year 2015-16, and is an Affiliate of the Philosophical Faculty of Charles University Prague, attached to the Institute for Classical Archaeology. Julia Heeb (PhD): Julia's thesis, entitled 'Copper shaft-hole axes and early metallurgy in south-eastern Europe: an integrated approach' was submitted and the degree awarded in 2012. Kate Verkooijen (PhD): Kate worked on the amber spacer-plates of Bronze Age Europe, using a range of techniques (experimental reproduction of spacers, x-ray examination). This has produced remarkable new information about these important objects. The thesis was submitted and the degree awarded in 2014. Katharine Sawyer (PhD): Katharine's thesis, entitled 'Isles of the Dead? The setting and function of the Neolithic and Bronze Age chambered cairns and cists of the Isles of Scilly' was submitted and the degree awarded in 2013. Peter Leeming (PhD): Peter works on the phenomenon of fossils in prehistoric contexts, and has compiled an inventory of the occurrence of these objects. He is interested not just in where they occur but also in the contexts involved, which will shed light on the possible reasons for this intriguing phenomenon. The thesis was submitted in 2016 and the degree awarded.